Store all kinds of stuff in projects. Tasks, notes, lists, and files. All in just one place. can be used to categorize projects. to quickly come back to this project. to differentiate various types of data. 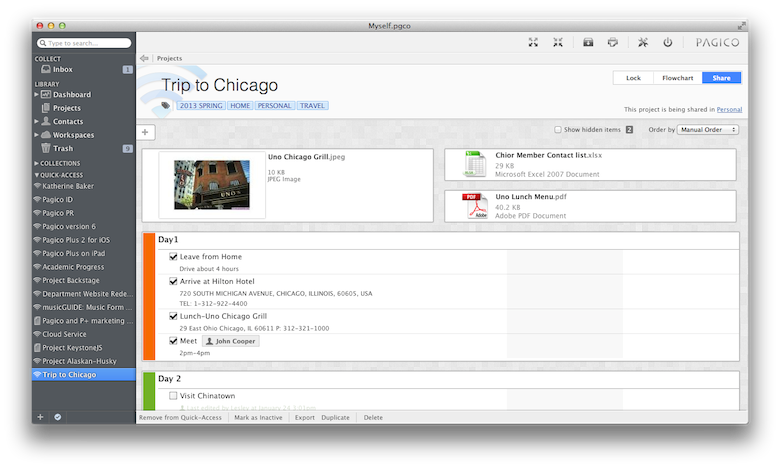 You can easily link tasks with other projects or contacts. can be stored right next to your todo lists. can host tasks, or simply just list items. with others is easy. You just need a workspace. Hundreds of projects? No problem. 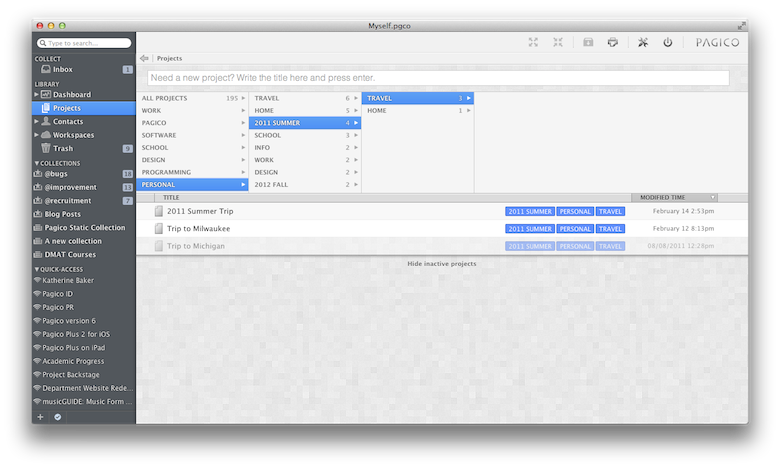 The built-in tag browser allows you to easily navigate your ocean of projects. It dynamically presents your projects in hierarchical structures based on your tag selections. to efficiently browser your projects. are presented on-the-fly as you picks tags. can also track your data based on tags. See how to manage contacts with Pagico for Desktop.